If you missed the big announcement, the doors to my healthy, easy meal plan subscription service are OPEN NOW and I've been asked a lot of questions about this meal plan subscription, so I wanted to answer them for everyone! Q: What comes with the meal plan? Q: Why doesn't the meal plan include breakfasts and lunches? A: I wanted to keep the cost for the meal plan low, the meal plan easy to use, and the plan as workable as possible. But I will be sending TONS of breakfast and lunch ideas your way! Q: How do you use the meal plan? A: It's SO EASY! You'll get a printable packet with a weekly overview, six recipes, and a shopping list every Friday. You print the packet, go shopping, and fit the meals into your schedule. A: The cost is $1.50 per week for the printable meal plan packet. You'll be billed $6 on the 30th of every month, and you can cancel anytime! Q: What kind of recipes are included? A: The recipes are family-friendly favorites! They are classics, and nothing too complicated! Q: How many people can I feed with each recipe? A: Each recipe feeds 6-8, but MANY of my testers are only feeding 1-2 people. They have been halving the recipes and freezing the leftovers when necessary. Q: I follow Trim Healthy Mama – will these recipes work for me? A: These meal plans do work for Trim Healthy Mama, but because I want to be careful and respectful of Trim Healthy Mama's copyright, the letters are not in the weekly printable packets. 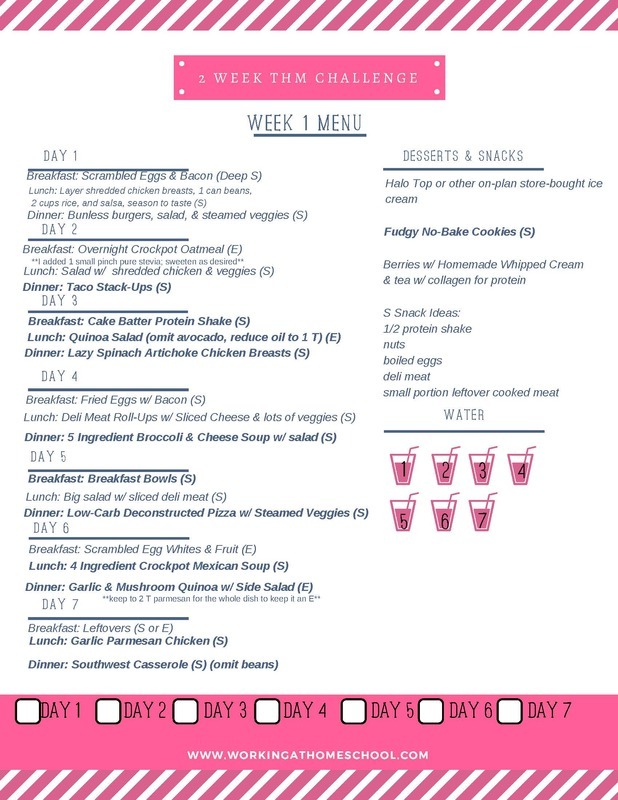 Instead, the meal types will be posted and accessible for free at thewellplannedkitchen.com (you'll get a link each week). Add to cart to get started today! I have some questions about this but cannot find a way to contact you. I signed up for this but have a question on how it is working.